Taken on the South Bank part of the London right behind the #Londoneye. 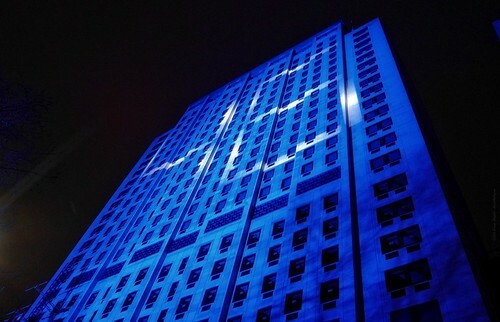 This building was showcased for lights and for visual messages. If you know this building then you will also know where I was on the reserved pavement, for the whole of the new year fireworks show.